The African country of Niger is one of the poorest countries in the world. In order for the country to advance, empowering youth enables them to not only transform their own lives, but the lives of others in their communities. Your donation will help SOS Children’s Villages Niger provide children that have lost, or are at-risk of losing parental care with much-needed life skills to build successful futures. The money donated will go directly to the purchase of sewing machines and sports equipment. Together, these will be used to empower vulnerable children to gain a variety of essential life skills, which are vital for maintaining healthy relationships, future employability and effective integration into the community. Each sewing machine costs $250; each basket ball hoop and net costs $100, each soccer goal costs $150; each ball costs $25 and each uniform kit costs $50. 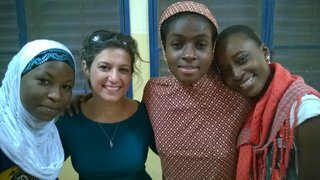 Parissa Bunin, a Canadian Naturopathic Doctor who grew up in Niger, was inspired by an SOS Children's Village on her recent trip to her homeland. While she was there, Parissa offered presentations to mothers regarding naturopathic solutions to common health and behavioural issues among children. She also offered craft activities to youth. After discussing and collaborating with both SOS Children’s Villages in Canada and in Niger, Parissa will return for one month in December to continue her work. She will support the youth by helping them develop employable skills such as sewing, and offer insight into improving their mental, emotional and physical well-being. 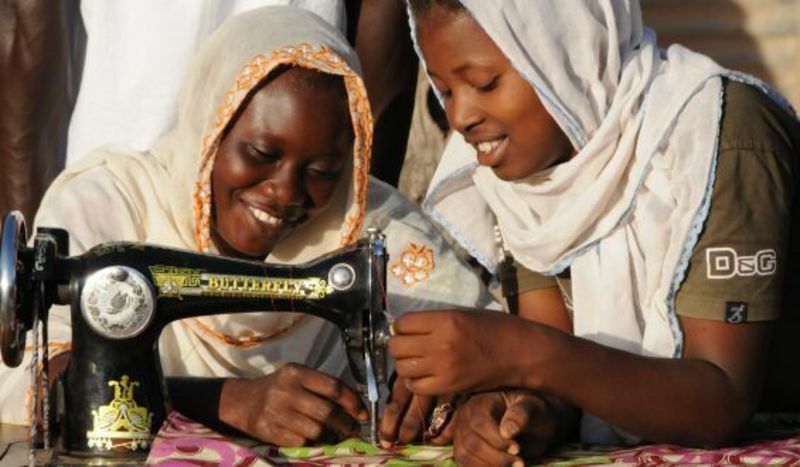 Parissa is hoping to raise enough money to purchase 10 sewing machines for the SOS Youth Centre, so that any member of the community can have access. Passionate about promoting mental,emotional and physical well-being, Parissa will also be raising funds to provide the village in Niamey with proper, yet basic, sport equipment such as basketball and soccer balls, jerseys, basketball hoops, etc. Your donation helps SOS Children’s Villages and Parissa build successful and safe futures for children and youth in Niger. The money donated will go directly to the purchase of sewing machines and sports equipment. Any additional funds raised will go to SOS Children’s Villages Niger. Good Luck Parissa! I will be saying extra prayers for you and your son. I`m proud of you Parissa! Thanks for all the good work! We are honoured to be able to support such a worthy cause! Shawn and Edward. I saw your project on Facebook when a mutual friend, Shawna-Raye shared it. Best of luck! All the best, Parissa. What a wonderful thing you are doing. ...in hopes of helping build a better future for the Niger Youth Empowerment fund and the continued work of Dr. Parissa Bunin. "The earth is but one country, and mankind its citizens." Good luck in this worthy endeavor and thank you for putting in the effort. Good luck with this wonderful cause!!! !